2017 is almost over and it’s been a truly eventful (pun intended) year for Jelly! From game launches and esports tournaments to exhibitions and awards; Jelly’s in-house team of industry experts have been hard at work supporting some big brands this year including Deep Silver, Konami UK, Rebellion, Liverpool F.C., and more. Find out more about what Jelly has been up to this year in our 2017 annual review. In January 2017, Jelly brought a selection of YouTube’s most popular gaming and pop-culture influencers to a pre-launch activation on behalf of publisher Rebellion. In anticipation of the release of Sniper Elite 4, the YouTubers were treated to a live-action sniping experience followed by a private game capture session. This allowed the YouTubers to play the entire game and enabled them to share their event and gameplay experiences with their social media followers and YouTube subscribers as exclusive preview content ahead of the game’s release. One of the key objectives of this activation was a heavy focus on immersion which would allow YouTubers to suspend disbelief in content created as part of the activation. In order to achieve this Jelly designed created a wealth of supporting assets and merchandise specifically designed to immerse the YouTubers in a World War 2 setting. This included private invites, ration packs, and personalised bullets. The combined social reach of this activation landed in the millions and influencer generated YouTube content exceeded five hundred thousand unique video views in the first week of the campaign. Find out more about this project here. We supported our client Konami UK on the launch of the latest title in the Bomberman series, Super Bomberman R. This was achieved through an extensive social media campaign across both Facebook and Twitter. Jelly created a number of engaging and interactive social media assets to promote the launch. 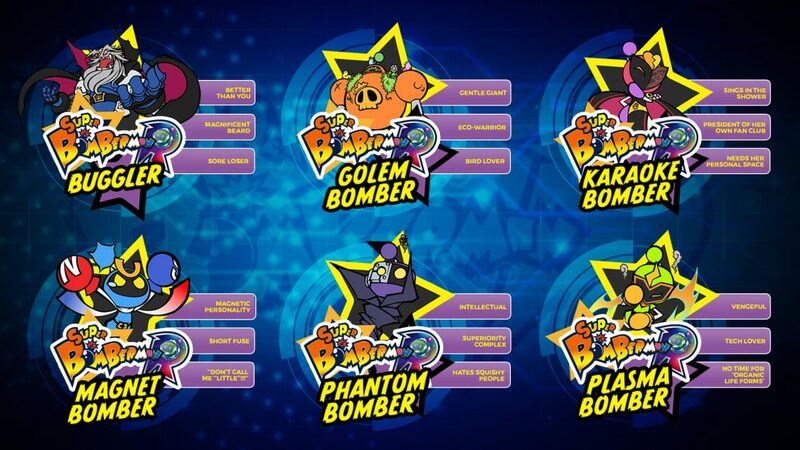 These were designed to appeal to both existing fans of the series and fans of other brands who might enjoy Super Bomberman R. The campaign ran from February to March and achieved well over 800k impressions on Konami UK social media channels. 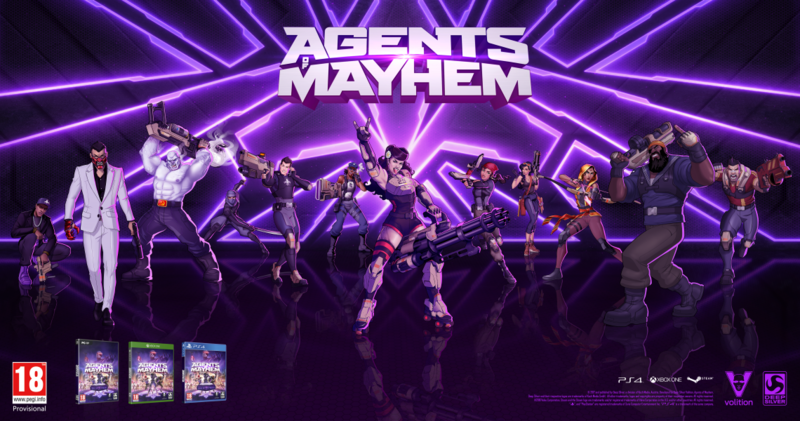 Jelly supported client Deep Silver on the launch of its latest title, Agents of Mayhem. Providing on-going social media and community management, Jelly managed and distributed Agents of Mayhem content across Facebook and Twitter. As a brand new title for Deep Silver, the Agents of Mayhem series was met with a lot of questions from fans of the publisher. Community managers engaged directly with fans, answering questions, helping Deep Silver build a brand new Agents of Mayhem community. Jelly continues to manage Agents of Mayhem branded social media pages for the publisher to this day, providing on-going monthly reports. Jelly’s community and event management team have been working on PES League for over ten years, developing the online tournament into an annual offline esports event attended by players from all over the world. This year, Jelly reimagined the event’s format with the aim of bringing PES League even closer to becoming a major contender in the world of esports. 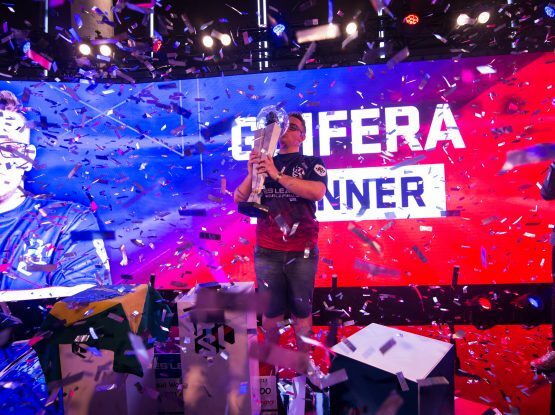 The new format saw the tournament split into a series of regional finals which ran throughout the year leading up to the PES League World Finals. The European finals took place at F.C. Barcelona’s Camp Nou and Liverpool F.C.’s Anfield stadium. 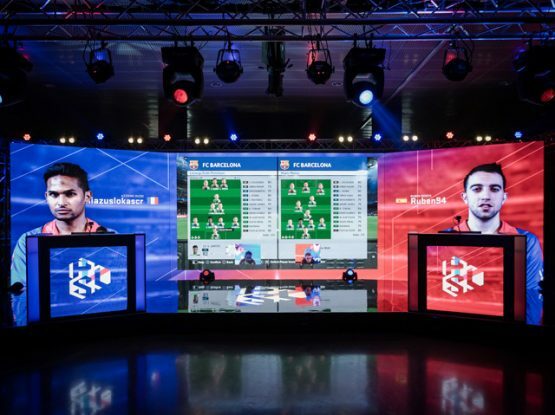 The PES League World Finals were hosted at Arsenal F.C.’s stadium where the world’s best PES players competed for the PES League trophy and prize of $200k. The event culminated at the UEFA Champions League festival in Cardiff where the world champion and runner up played an exhibition match on the festival stage in front of a live audience. In anticipation of the release of premier football game Pro Evolution Soccer 2018, Jelly hosted a high-profile influencer activation on behalf Konami. The PES 2018 World Tour was a five day activation designed to provide local and international media an exclusive first-look at the upcoming title and the chance to share their thoughts with their audiences ahead of the games release. 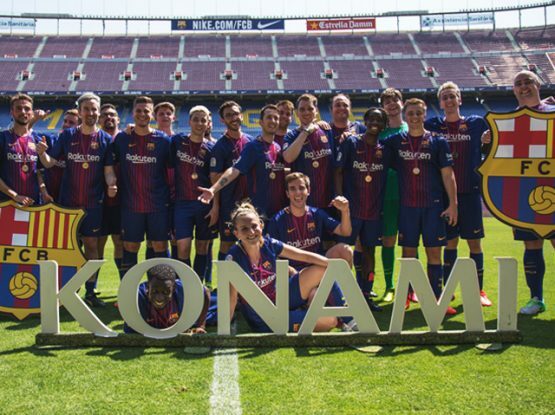 The PES 2018 World Tour took place at several iconic football destinations around the globe with notable locations including Camp Nou, Anfield Stadium, and Signal Iduna Park. Hosting the world tour in such locations offered a fully immersive football experience and gave the media the chance to play and record against legendary backdrops. 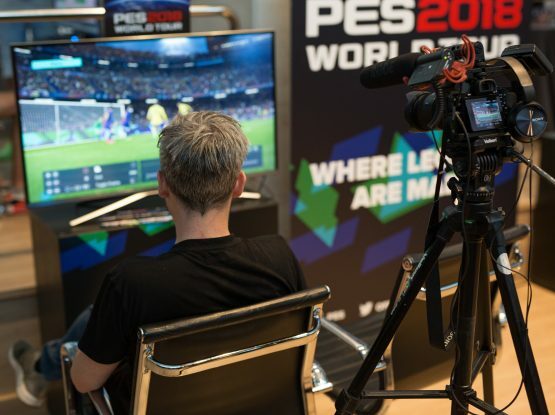 Attendees were able to experience PES 2018 on PS4 consoles and PCs specifically set up to support game capture; allowing guests such as YouTube sensations Miniminter, TBJZL, Manny, and Bateson87, to efficiently record and save footage for their channels. Jelly worked alongside PES 2018 club partners to provide guests with unique experiences and opportunities for content creation. This included tours of each stadium and a private YOUplay football match on the Camp Nou pitch, which divided the media into two teams captained by F.C. Barcelona legends Patrick Kluivert and Gaizka Mendieta. The World Tour marked the first of its kind for PES League, building media buzz for PES 2018 and celebrating premier partnerships with football clubs. The #PES2018WT hashtag generated over 40M impressions on social media, creating massive amounts of community hype ahead of the game’s release. Find out more about the PES 2018 World Tour here. Over the course of the year Jelly has developed its relationship with local charity, Blackpool Carers, interacting them them on social media and at events. Jelly provided Blackpool Carers with a social media strategy consultation, offering the team’s first class skills and insight on how to further develop their social channels. Jelly regularly supports Blackpool Carers across its social media channels and even attended Blackpool Carers’ Christmas party. On the 28th of July 2017 Jelly hosted a charity live stream featuring a selection of YouTube personalities live from its in-house studios. The charity live stream raised money for and awareness for Cancer Research UK through Score Against Cancer: a football gaming inspired cancer awareness event. The three hour live stream took place from 7PM to 10PM and was supported by Konami UK and ASUS ROG UK. Viewers were encouraged to make online donations throughout the screen and were even given opportunities to win amazing prizes including signed football memorabilia. Jelly donated its studio space, time, and expertise to the cause which was fronted by YouTuber Shogun FC. The live stream was multi-cast on Twitch, YouTube and Facebook LIVE and reached an audience of 2M, raising over £1,100 for Cancer Research UK. Jelly attended multiple exhibitions throughout 2017, representing itself and clients at some of the biggest gaming events of the year. Jelly managed a PES 2018 exhibit in the V.I.P area at Upload 2017. Here over 6K visitors were able to play the game throughout the event. Over the course of the weekend Jelly hosted a main-stage promotion with YouTube influencers Tobjizzle, JME, and JemeOneFive, exposing the game to a combined audience of over 6M influencer audience members. EGX provided Jelly with the opportunity to to network on behalf of the agency, meeting with potential clients and friends including Nintendo, Square Enix, Rebellion and PlayStation Access. For Gamescom, Cologne, Jelly provided booth design and support for both Konami’s Metal Gear Survive and PES 2018 stands. Each booth encompassed an open-plan game demo area where members of the public were invited to experience the upcoming Konami titles pre-release. The booth designs were instrumental in driving traffic towards the booths, with many members of the public stopping to take pictures against the booth backdrops. Jelly worked on two major activations with client partner club Liverpool FC this year. The first of which was the Liverpool Red Neighbours youth tournament which was designed to engage members of LFC’s community initiative with the PES 2018 brand. The winners of which were given the chance to go head to head against first-team members Georginio Wijnaldum and Jon Flanagan. Read our Red Neighbours case study here. The second was the Liverpool FC All Stars Christmas Cup. This was a dual purpose activation, consisting of a tournament and an exclusive press access event. The tournament served to engage the Liverpool FC community with the PES brand and included special guest appearances from football players, Joël Matip, Joe Gomez, and Roberto Firmino. The press access activation gave prominent members of the sports media industry, such as Sky and Soccer AM, the opportunity to interview footballer Philippe Coutinho in Liverpool FC’s Retail Store’s upstairs mezzanine. This served to strengthen the client’s relationship with the press and position Coutinho as a PES 2018 brand ambassador. Read our All Stars Christmas Cup case study here. Last but not least, Jelly is proud to have received a number of awards and nominations for its outstanding portfolio of events this year. Jelly’s PES League Regional Finals event was nominated for two awards this year! It won the title of Best Non-Matchday Use of a Venue at the Football Business Awards and was nominated for The Event Production Awards’ Best Visual Spectacular. Jelly also received two nominations for the Drum’s UK Events Awards. Both the PES League Regional and World Finals secured the agency a nomination for Sports Event of the Year whilst the PES 2018 World Tour landed Jelly a nomination for Brand Activation with Invited Audience of the Year. With 2017 coming to an end, Jelly wants to say a big thank you to all of its clients, partners, talent, and friends who helped make the year such a success. There’s a busy 2018 ahead with plenty of events, activations, and new projects on the horizon. Keep an eye out for big announcements coming this January on Jelly’s Facebook and Twitter pages.